Greetings fellow Empyreans, I am Ashterothi, and I haven’t been this happy to be proven wrong in a long time. First of all, let me start by saying this is going to be a bit different than my other pieces on this site. Notably, I am giving up my air of ‘professional writing’ and making this more of a blog post of sorts. This week has been an interesting one for me as my last article has garnered a lot of attention and response. While I have received a lot of well thought-out responses, there were clearly some who didn’t read past the title. The last few days, including reading Niden’s last article, has given me pause for thought, and I figured given the hornets nest I seem to have stirred up, I owe you guys a bit of a follow-up. Let me start by answering this from my perspective: No. I mean, In the Tibetan philosophy/ Sylvia Plath sense of the word I know we’re all dying, but EVE is going strong, and the playerbase is every bit as passionate as it ever has been. The future is bright and full of possibilities. So, why write an article entitled “EVE is Dying”? Well, to put it simply, it was meant to draw people into a discussion. The most important half of the title seems to be the part that didn’t get read as much: “and we’re the ones killing it.” The goal of the article was not to accuse EVE of decline, but rather call out our community for the counter-productive language and behavior we have adopted. However, in the process, my voice turned into the very one I sought to call out. By facing the monster, I became it. This seems like the theme surrounding the article, it’s motivations, and it’s results. So let me back up, for those of you who don’t know, I joined EVE in the Summer of 2011. At that time PI was the freshest thing in the game, and the nano nerfs were still grumbled about as the last thing CCP had done to forever kill the game. I joined at a golden age for EVE’s storytelling (there have been at least three) and got to meet Dropbear as he sent his army of Sansha loyalists to fight any capsuleers who dared face him. I witnessed first hand the events of Monocle Gate, and watched in horror and intense curiosity as it played out. 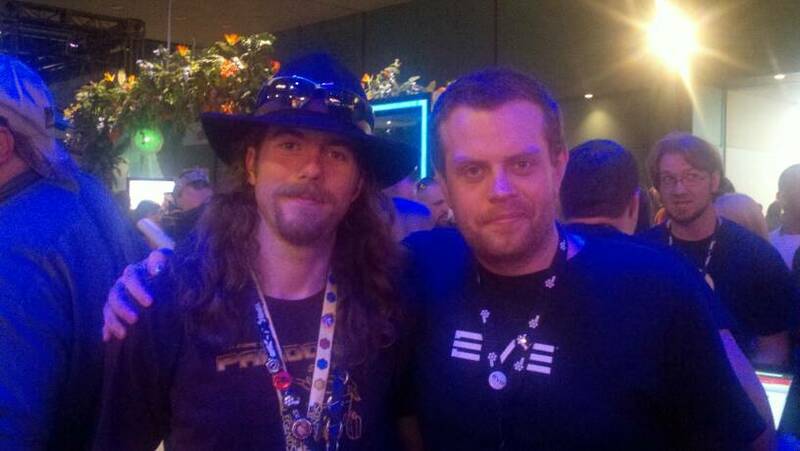 I got to shake the hand of CCP Soundwave as the wore his “Ask me about my monocle” t-shirt. I watched as EVE developed and grew, slowly adding my own voice to the mix. One of my goals was to never become the dreaded “bittervet” that I saw so frequently plaguing EVE forums. All of my writing about EVE comes first and foremost from the position that EVE Online is a game that I love. That being said however, I have feared for EVE. 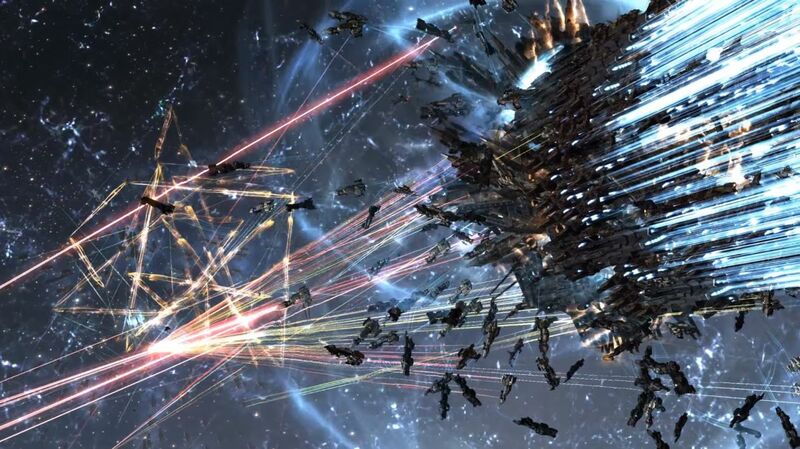 When the Summer of Rage happened, and CCP fired 20% of it’s staff, I wondered if it would ever recover. Subsequently, every time the players threatened to riot since, over often petty things, I feared that perhaps we the players were the worst enemy of EVE. EVE is a hard game to master, but it is even a harder game to manage. In EVE victory does not come from triumph of combat and skill alone. In a world of immortal space-gods you conquer your enemy through crushing their morale. Only by forcing them to quit the fight, or quit the game, can one truly call a foe vanquished. Combining that with the years of effort it takes to achieve the lofty goals that many have, you have a system that rewards those who push the line, and favors those who can set sportsmanship aside, and make things personal. This frequently spills out into the community, and this isn’t a “Goon” problem, or a “PL” problem, it is comes from all sides. Bitter losers tear down the game that has driven them to spite, and sore winners “twist the knife” and revel in behavior only truly capable by those who have dehumanized their enemy. Seeing all of this, I often wonder if there was a better way. Goons have always been terrible, and I am not even going to entertain an argument from them otherwise. This is organization that was founded under the very principle of separation breeding elitism. From their home in Something Awful, they would move from game to game, passing judgement upon the “pubbies” they encountered. As I wrote about previously, the Goons found a good home and an interesting challenge in New Eden. They came in and laughed in the face of the values and “honor” of those that came before them. When World War Bee started, it grew so fast not because of the ISK, but because people found the behavior of the Goons to be abhorrent. This is why as the Goons turned to retreat they were given no mercy. Why when they cried against the mechanics, they received no pity. This organization had become what it was by its willingness and eagerness to overstep the bounds of sportsmanship and the game rules themselves. Anything they complained about was simply dismissed as poetic justice. And that’s the crux of it. I don’t mind the “bad behavior” of the Goons too much. As Mathias Sinistar wrote in his piece In Support of Villainy, EVE needs a villain. For EVE to work the way it does people need to be able to be that terrible thing. Since I started playing I have said “I do not play EVE to be a villain, I play EVE to be a hero in a world where that choice matters”, and while I may not always be ‘heroic’ I have never scammed another player, and help wherever I can. Goons were the villain, and they were good at it. Through their antics, and the antics of their allies, we as a people could explore what was and wasn’t acceptable for ourselves. However, Nietzsche wrote “He who fights with monsters might take care lest he thereby become a monster,” and as the war waged on, and as no real opposition was put forth, I saw the monster embraced by some within the wider community. Whether this was real, or merely perception, I am not really at a place to say at this point, but either way what I saw troubled me. My proposal from my last article wasn’t that EVE is losing subscriptions, or is worse of a game than it was before. On the contrary, I think the game is mechanically more sound than it ever has been, and many agree. However, I feared that we as a community had lost the script, and that in order to react to some of the more extreme rhetoric being put out, we ourselves lost ourselves to the extreme. We live in a time of potential for EVE. Valkyrie and Citadels did not usher in a grand explosion of new players as many hoped. Now we must live with the reality we have, and plan our way forward. We now live in a world in which the Imperium no longer hold tyranny over the galaxy, a goal we have sought for years. However, now we must ask ourselves what it is that we want to do with this new universe. EVE can be anything we make it, and I would love to see this as an opportunity to work together to make even more lofty goals, and even more violent conflicts. Niden was right when he wrote that we must “walk the walk”. For years we have bristled under the behavior of the worst among us, knowing full well that the CFC was too mighty, and offered them too many protections. With the Imperium stripped of their power over the cluster, it now becomes our responsibility to discover a better way. By no means am I suggesting we stop fighting, and all sing kumbaya, that misses out on the very nature of the game I love. What I am suggesting is that we begin to create a culture within us where we can as people help build our community, make great creative works and support them, and provide good constructive feedback, even as within the game we seek to destroy each other. For years we have spoken about how great the community is in the game, and I hope that we all can walk the walk and remember that at the end of the day we are all people who love a stupid video game about internet spaceships. EVE isn’t dead, and I hope it won’t be for a long time, but that doesn’t mean it isn’t without issues. CCP struggles daily to give us what we want, and we don’t make it any easier. The war is over, and if it is in fact true that the “good guys” won, then let’s prove it by making the game, our culture, and our community better for it. Thank you all. Now hold still so I can point you.